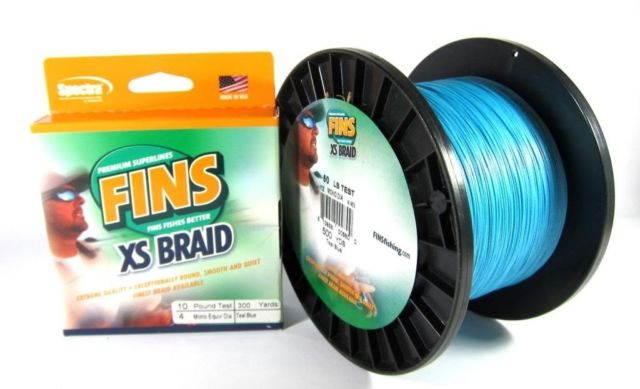 FINS Braid is the world's first situational spectra braid fishing lines featuring the smooth 40G the first 9 strand braid on the market, NEW Sling Braid more silky smooth longer casts, Windtamer for eliminating wind knots, Shock Absorbing with added stretch for those big bites, Original PRT for overall strength and performance, Extra Smooth XS for extra long casts and more strength with 8 strands of spectra fiber - Braid in the USA! Have you ever wondered how manufacturers test the breaking strength of braided fishing line. FINS Braidman, Dave Burch, shows us the machine he uses to check how strong FINS braid really is. If you look on the FINS packaging, it shows the average breaking strength of the line, and it's usually much higher than the line is rated. 15 pound FINS 40G braid breaks at 30 pounds but when you tie a knot, Braidman brings that number down to 26 pounds due to human error and knots. I often wonder how some people can still fish with mono-filament when braid has no stretch and the strength of double the tensile weight. 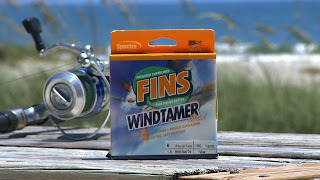 Do yourself a favor, if you still throw mono, give FINS 40G or Windtamer a try. It throws and feels the most like mono and making the switch will be that much easier for your fishing.